While I was hard at work producing Lost in Space Forever, my own effort, several others were publishing their tributes to Irwin Allen's other TV series and films. 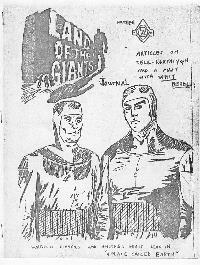 Land of the Giants Journal, created by Doug Diamond, featured reprinted articles on the show as well as many rare photos. 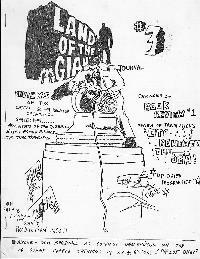 Doug realized that due to a dearth of available Land of the Giants material the best way to fill up the pages was to also include material on Voyage, Swiss Family Robinson and the like. The magazine lasted 4 issues. 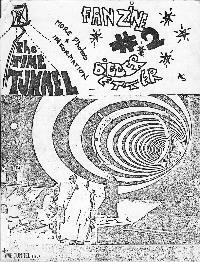 Many years before he became an eminent scientist at the California Institute of Technology and a famous author and lecturer on the subject of optical illusions Al Seckel created The Time Tunnel Fanzine, which lasted 2 issues and included reprinted Time Tunnel articles and an incredible collection of rare photographs taken on the Time Tunnel set. Al had one of a kind contact sheets and wasn't above cutting them up and pasting them in the pages of his zine. In those days there was no such thing as "screen grabs" so the photos you saw of the Complex were lterally taken off the television screen in glorious back and white. Al also created what was probably the first fan-built model of the Tunnel and the Complex. Though not strictly a Voyage to the Bottom of the Sea fanzine, Hedison Hosts was the fanzine Vieve Yarbrough published in conjunction with her Hedison fanclub and included up-to-date information on the series' stars, great photos, and excellent graphics, printed on yellow and green paper for an added touch. 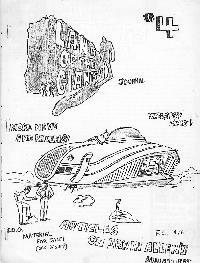 Lee Sobel's fan produced magazine The Orion Warrior usually featured Star Trek but for one issue it was dedicated to Lost in Space. Crammed with excellent photos and all-new articles it was well-produced. It's a shame more issues were not released. 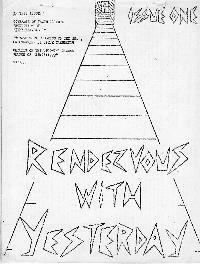 Perhaps the best-made fanzine of its time was Rendezvous With Yesterday. 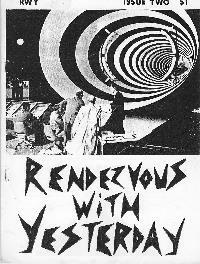 The title was misleading-while it featured the Time Tunnel it also included the latest news on Allen's (then) future projects. Kevin Danzey produced two issues of this superior effort. 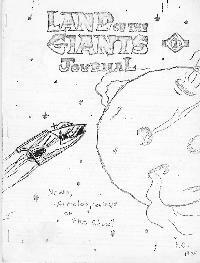 Later years saw the introduction of better-produced, more professional magazines Like Lost in Space Monthly, The Galaxy Gift, LISFan and The Alpha Centaurian. While impressive in their own right, they owe their very existence to the pioneers like Bob Richards and Ron Sapp whose efforts more than three decades ago created this fanzine genre that still continues.